This member update was provided by Emily Pugh, Digital Humanities Specialist and David Farneth, Assistant Director of the Getty Research Institute. The Getty Research Institute (GRI) is very pleased to be joining the Digital Library Federation community. We look forward to sharing with and learning from other DLF members and to becoming active participants in its programs and projects. The GRI can be characterized as an independent, art-historical “think tank” located in Los Angeles and dedicated to furthering knowledge and advancing understanding of the visual arts and their various histories through active collecting programs, public programs, institutional collaborations, exhibitions, publications, digital services, and residential scholars programs. It is a program of the J. Paul Getty Trust, along with the J. Paul Getty Museum, the Getty Conservation Institute, and the Getty Foundation. Over the last 30 years the GRI’s Research Library has grown to be the largest and most comprehensive art library in the world, known both for its broad and deep primary and secondary collections and for the various ways in which it encourages and facilitates art-historical research for a broad community of users. The collection features over 1 million volumes; 3,000 periodical subscriptions; 50,000 rare books; 30,000 prints; 6,000 linear feet of institutional archives; and 25,000 linear feet of special collection materials, including scholar archives, art dealer archives, artist papers, and architectural collections. There are also rich collections of rare photographs and an art-historical photo archive of over 2 million images. The Getty’s dedication to offering free access to research resources is manifested in many ways. The Open Content Program allows users to browse and download high-resolution digital images from the GRI and Getty Museum without any restrictions. Thousands of additional high-resolution images are offered for easy download through the Research Library’s digital collections. Getty Publications has made hundreds of backlist titles available as free PDFs. Furthermore, the Getty Vocabularies, a set of databases containing structured terminology for art, architecture, decorative arts, and other visual culture materials, are moving from being a licensed resource to free availability as linked open data. The Getty Research Portal aggregates global access to over 40,000 digitized texts for the study of art, architecture, decorative arts, and material culture. It is a multilingual, multicultural union catalog that aggregates metadata contributions from contributing institutions in the U.S. and Europe. Our next goal is to broaden the Portal’s non-Western coverage by adding contributors from Asia, Latin America, and Africa. All contributors agree to a CC0 license for the metadata and must offer full, freely downloadable files of all texts. The GRI is actively digitizing its rare and general book collections for delivery through the Internet Archive and preservation with HathiTrust. 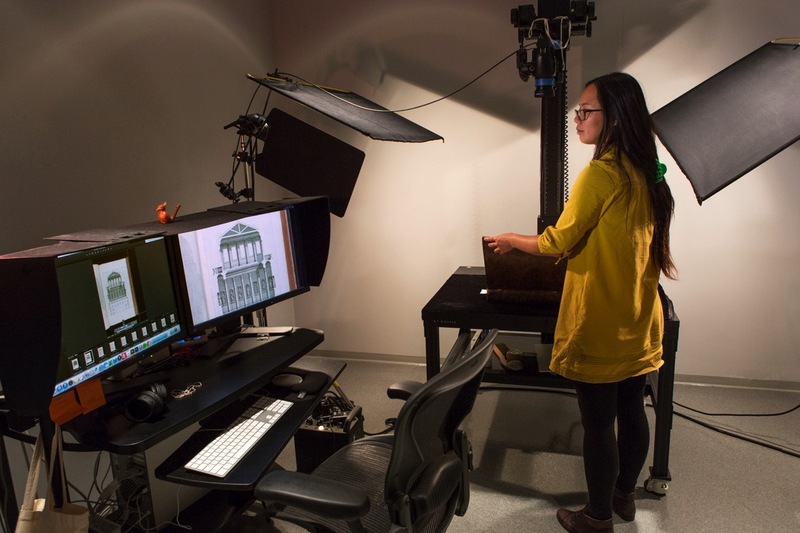 Book digitization is mainly accomplished with three Internet Archive Scribe machines, one Treventus book scanner, and one Digital Transitions BC-100 R-Cam Workstation. We also recently added a protocol to digitize books using the GRI’s high-resolution copy stand stations, thus providing the ability to add material too large, small, or fragile for the mass digitization workflows. A large amount of “digitization-on-demand” meets the immediate needs of researchers. The GRI is also actively imaging a wide range of special collection materials. Priority is given to digitization projects that will support specifically identified research projects and initiatives. 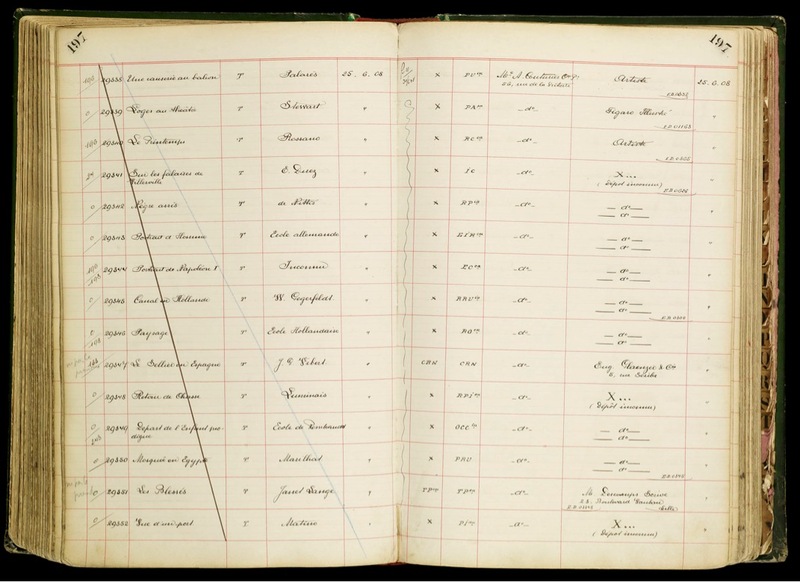 For example, the digitization of art dealer stockbooks and archives supports the GRI’s research program devoted to the provenance of art works and the development of museums. The digitization of art dealer stockbooks support’s the GRI’s research into the provenance of stolen, looted, or seized art. We also have an active Digitization on Demand service and several grants have provided to opportunities to digitize heavily used collections comprehensively, such as the Julius Shulman Photography Archive and Max Hutzel Photographs of Art and Architecture in Italy. The GRI’s digital collections, covering a wide range of media, artists, time frames, and national traditions, are discoverable through searches in its union catalog, Primo, as well as a on separate search page for digital collections. The GRI uses Rosetta for its digital repository. The GRI is also a content hub for the Digital Public Library of America and uses Artstor, Worldcat, the Online Archive of California, Internet Archive, ArchiveGrid, and the OCLC Art Discovery Group Catalogue to broaden access to its collections. The GRI is especially interested in leveraging digitization to unify split collections. To this end it has collaborated with the Kunstbibliothek, Staatliche Museen zu Berlin to digitize the archives of architect Erich Mendelsohn and with the Kandinsky Society in Paris to digitize Vassily Kandinsky’s teaching materials related to the Bauhaus. Within the last year, the Art & Architecture Thesaurus (AAT) and the Thesaurus of Geographic Names (TGN) have been released as linked open data. The Union List of Artist Names and the Cultural Object Name Authority will be released in the coming year. Complete project documentation can be found on the project website, and there is a dedicated website for software developers and programmers. The Getty’s online magazine has postings about the release of AAT and TGN as linked open data.